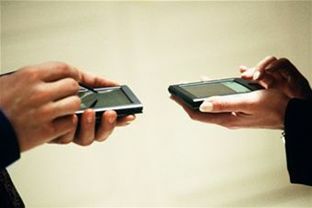 With smartphone sales set to outstrip that of PCs by 2012 the social media phenomenon is looming large for retailers. The landscape is changing every day and companies must prepare to be flexible and to test and learn as they strive to expand their digital reach. Rachel Weiss, Assistant Vice President, Digital Strategy and Interactive Marketing, L’Oreal is a speaker at the marcus evans Social Commerce Conference taking place on July 26-28 in San Francisco, CA. Social commerce is becoming increasing important to companies promoting their products nowadays, Weiss explains. “Over the last couple of years we’ve seen such a shift in what L’Oreal calls the ‘path to purchase’. This has been influenced by the rise and growth of social. What social commerce implies is that it’s not so much about a direct sale via a social medium. It’s about how the social stratosphere is influencing someone’s purchase decision. Weiss says engagement is not a straight line anymore – it’s a zig zag and a triangle. New and exciting opportunities are posed by the SoLoMo (Social media, location-aware, mobile) customer, she adds. “For L’Oreal, there’s a huge opportunity there to be better partners to create large scale reach. The technology exists but we still need to bring our minds together to create meaningful programs that are location-aware for our retail stores, beauty counters and salons. "Social campaigns can generate revenue and really impact a business’s bottom line by exerting their influence of the path to purchase and making sure as a company you and your products are present and visible. “Your people internally must be resourced and understand the intricacies of the ever-changing social stratosphere - the social networks and the intersection of social, mobile and websites. If a company has a much more customer centric approach, that will impact its bottom line. The marcus evans Social Commerce Conference is taking place on July 26-28 in San Francisco, CA.